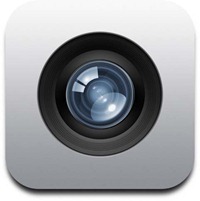 The iPhone 4 is now the most used camera on Flickr. That’s camera, not camera phone. While the iPhone 4 has been the most used camera phone for some time, Flickr’s numbers now show that the fourth generation handset is actually now the source of most photos on the site. What’s most interesting is the list of expensive cameras the iPhone has beaten to the top spot. Canon’s EOS 5D MkII, EOS Digital Rebel XSi and the Nikon D90 have all fallen places in Flickr’s rankings, thanks to the iPhone 4’s popularity. When compared to other smartphones, the iPhone 4 is obviously top dog. In fact, Apple is so dominant in the space that four of the top five smartphones to have photos published to Flickr are iOS devices with the iPhone 3G, 3GS, 4 and iPod touch being joined by just the one Android device; HTC’s EVO 4G. Are Apple buyers just a more creative bunch who like to share their content with the world, or is Android’s plethora of phones simply diluting the platform’s result? Apple’s iPhone 4 and its 5 megapixel shooter have been climbing the charts ever since Apple introduced its current wonder-phone back in June of last year. As well as taking damn fine stills, the camera is also capable of shooting 720p video. As TUAW points out, this isn’t the first time an iPhone has held onto the top spot in Flickr’s charts. Apple’s first iPhone also found itself in the number one spot back in 2008, despite its underwhelming 2 megapixel camera. The iPhone 3G also topped the charts – again using a relatively low-specced shooter. We told you back in March that one research firm predicted the iPhone 4’s increased popularity, with the number of photos taken with iPhones and being uploaded to Flickr continuing to rise. What is it people say about the best camera being the one you have with you at the time?